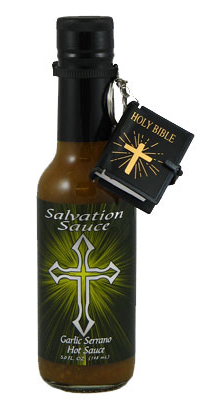 In 2002, Danny Cash started making hot sauce in his church kitchen in Wheat Ridge, CO. The congregation put up with him and the crew flooding the whole church with chile fumes that made their eyes water and tongues burn without even tasting the sauce! Ingredients: Habanero and serrano peppers, garlic, vinegar, lime, and salt.